A box of chocolate is always a sweet gift, but a box of homemade chocolate truffles is a tasty luxury. 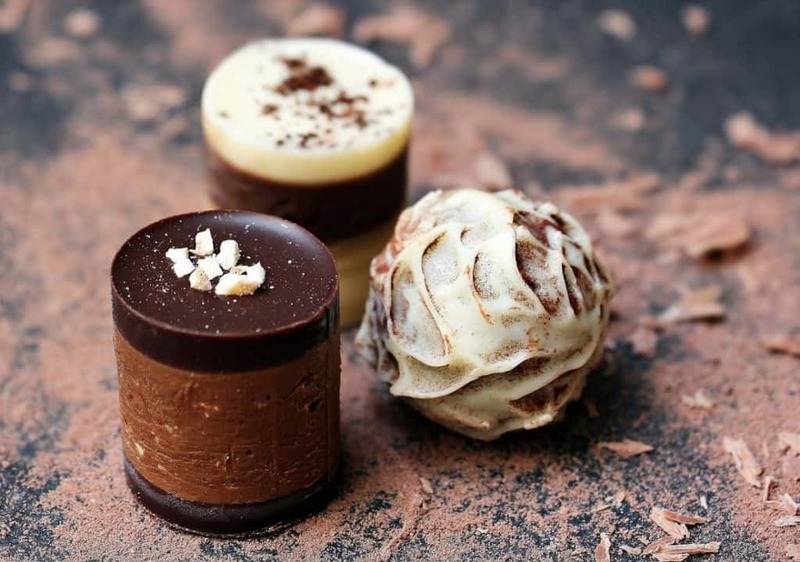 You don’t have to go to a gourmet chocolate shop for truffles. With this easy recipe, you can make your own chocolate truffles this holiday season . Your loved ones will love this gift! Let stand for five minutes, and then stir until smooth. Cool to room temperature, and then refrigerate until firm enough to form into balls, about two hours. Roll the truffle into tablespoon-size balls and place on a wax paper-lined baking sheet. Return to the refrigerator until well chilled and firm. In a double boiler, melt the chocolate over hot, not simmering, water. Stir until smooth. Remove from the heat and stir in the oil. Let cool to lukewarm. Holding a truffle with the first two fingers of one hand, submerge the truffle in the coating. Allow the excess chocolate to drip off, then return to the wax paper. Refrigerate until firm. Store chilled. Let the truffles sit at room temperature for 15 to 20 minutes before serving. Bonus: Different flavored truffle toppings. Once you have the base of the truffles down you can mix up the flavors by dipping them in different coatings. You can make a variety box of chocolate truffles with just a few more ingredients. Are you interested? Instead of the coatings consider rolling your chocolate truffles in one of eight options listed below.